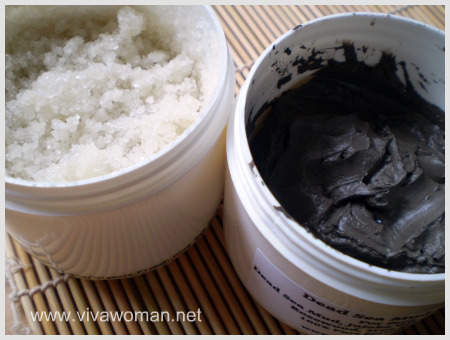 I was at Marina Square to shop for some suitable bath pampering items for the family and I remember Ahava and their Dead Sea mineral products. I recall they have some body wash for sensitive skin, which may work well for my husband’s skin allergies and my boy’s delicate skin. 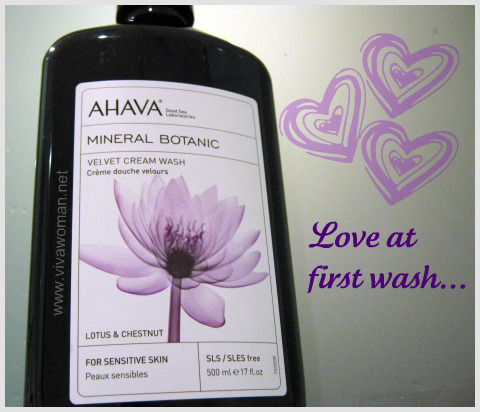 I was introduced to the Ahava range of Mineral Botanic Velvet Cream Wash, which are SLS/SLES and paraben free. I picked the Lotus Flower and Chestnut body wash out of the six choices available for it’s calming and lovely scent. This is a velvety cream wash that left my skin feeling very nourished and moisturized with its infusion of Dead Sea minerals, macadamia oil, anti-oxidant rich lotus flower and chestnut extract. It’s very gentle – pH tested to be around 5 – and worked great for my entire family, including my 7-year-old. My husband, who has suddenly developed allergic contact dermatitis, also did not react negatively to the body wash and found the wash very soothing. And me, I love the scent so much that I’m using this in place of Nature’s Gate Herbal Blend Body Wash now. Ahava Mineral Botanic range of Velvet Cream Wash do not foam very much but you can apply onto a wet washcloth or sponge if you want prefer more lather. As with most body wash that do not contain harsh detergents, Ahava’s does not leave your skin squeaky clean. Rather, you feel that there is a “film” even after repeated wash. 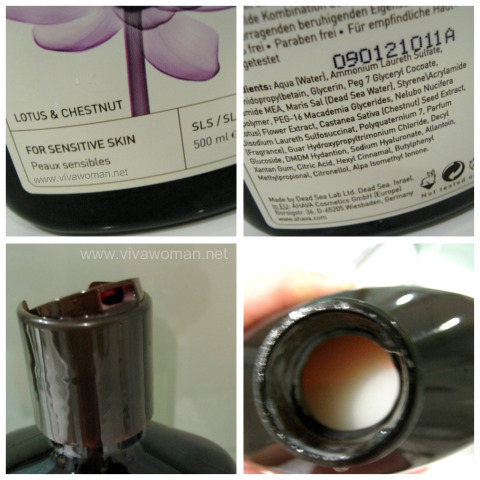 It isn’t oily or greasy and in fact leaves your skin feeling quite supple and smooth. If you’re the lazy sort who hates to moisturize after a bath, then such body wash would work great for you. You will notice that the ingredient isn’t completely natural. In fact, there are some synthetics in the formulation, in particular, the fragrance. But it’s been said to be allergy-tested and since it did not pose any problems for my husband, I would say this body wash should work for most sensitive skin types. Aqua (Water), Ammonium Laureth Sulfate, Cocamidopropylbetain, Glycerin, Peg 7 Glyceryl Cocoate, Cocamide MEA, Maris Sal (Dead Sea Water), Styrene Acrylamide Copolymer, PEG-16 Macademia Glycerides, Nelubo Nucifera (Lotus) Flower Extract, Castanea Sativa (Chestnut) Seed Extract, Disodium Laureth Sulfosuccinat, Polyquaternium 7, Parfum (Fragrance), Guar Hydroxypropyltrimonium Chloride, Decyl Glucoside, DMDM Hydantion, Sodium Hyaluronate, Allantoin, Xanthan Gum, Citric Acid, Hexyl Cinnamal, Butylphenyl Methylpropional, Citronellol, Alpha Isomethyl Ionone. All of them have lovely smell and my favorite was actually Water Lily & Guarana. I didn’t get it because it’s a body scrub, not a body wash.
Each 500ml bottle of Ahava Mineral Botanic Velvet Cream Wash cost S$28. I wouldn’t call this value for money but for the quality and pampering it provides, I’ll say I’m happy to pay that price. Currently, the GSS promotion allows you to get three for the price of two. I only got one bottle but I would gladly purchase another bottle next time. 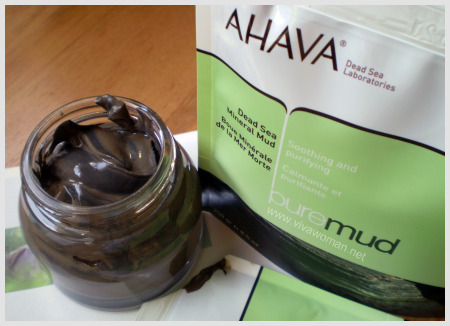 Ahava range of products are available at a few locations. I got mine at Marina Square. Â You can look up their website to find the other locations. I remember I tried this range and like it. 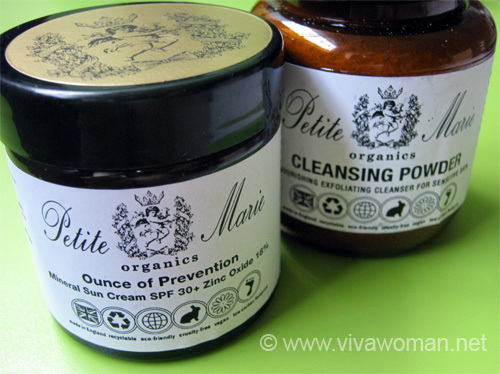 I used the Water Lily & Guarana (Micro-Peel)and another one…something like Orange flower. I think I got it last year at a sale. Each bottle at $18. Or something like that. Its quite pricey without discounts. $18 is a good deal! I love this body wash, I have been using for mth & still have.All I need just a little & it’s lather so well.I don’t buy all my Ahava products here, usually is my hubby customer bought & I have use so much of their body range.Maybe you can give their hand cream a try,I always use before sleep. I saw their hand cream but didn’t try it. I gt the same body wash as u too! its good for my sensitive skin :)and i really love the scent! was thinking of trying their micropeeling but worried abt the scent. members can get 20% off. im using their handcream, not too bad. they have another hancream tt contains spf, not too bad for those who wan protection for hands. They have membership? Oh yes, I think they asked me about it. The scent for the micropeeling product is great. I love that and wish they have it as a wash too.